The MC152 is currently the smallest and least expensive McIntosh amplifier available delivering 150 watts of power from a 6″ tall chassis. 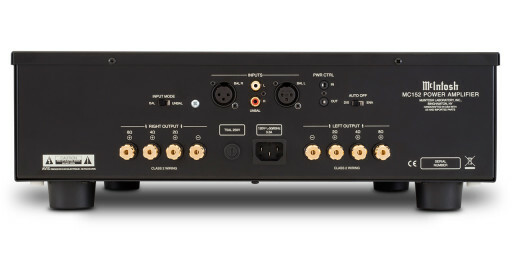 The MC152 accepts audio from balanced XLR and unbalanced RCA inputs. 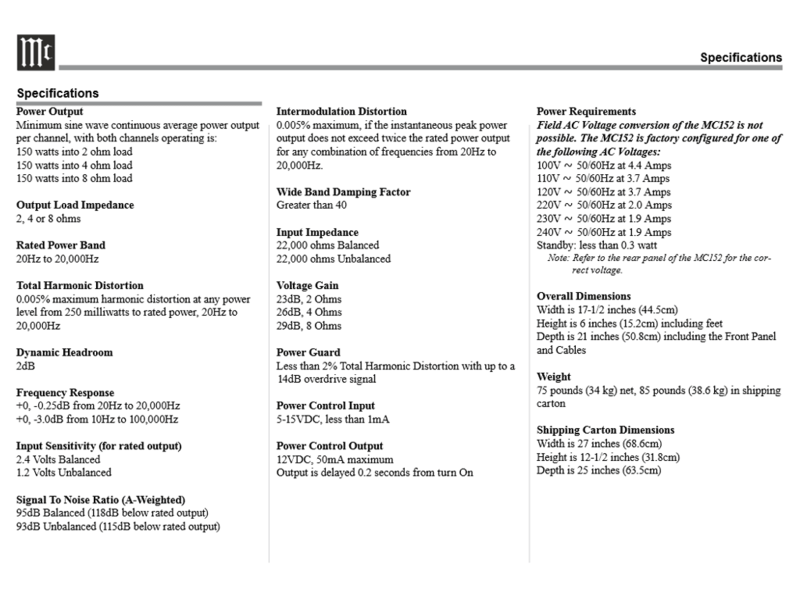 Use the “INPUT MODE” switch in the left side of the above picture to select “BAL” or “UNBAL” to use the balanced or unbalanced inputs, respectively. Here’s a closeup of the patented speaker terminals which provide a secure connection for speaker wires on the MC152. This solid-state amp delivers 150 watts per channel no matter what your speakers’ impedance is. 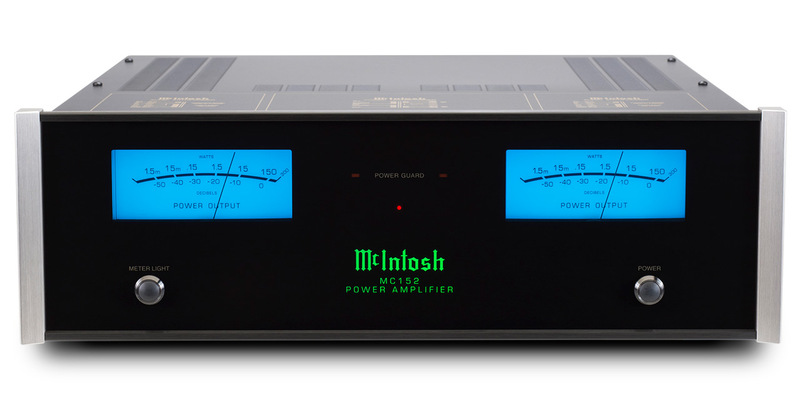 McIntosh’s patented output Autoformer technology gives your 2, 4, or 8 ohm speakers full power. In an October 2015 review, HiFi World measured the MC152 and found it output more than the advertised power – up to 253 watts per channel into an 8 ohm load. Another unique feature found only in McIntosh amps is the patented Power Guard® technology which prevents speaker damage from clipping. 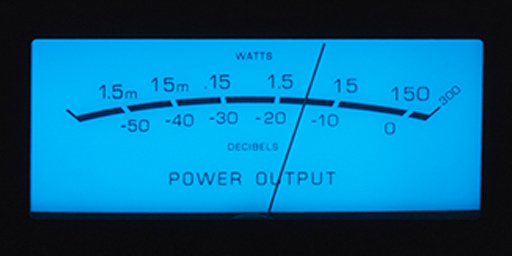 The MC152 features the classic black glass front panel, silver end caps, and easy-to-read blue watt meters that McIntosh is known for.